On Tuesday, I paid a visit to Metal Supermarkets here in Southampton in search of zinc plate. It was my first visit as I usually get my plates from printmaking suppliers but I was after some tricky sizes. Sarah and Katherine, who run Red Hot Press, mostly use aluminium for etching and source it there so I thought I’d give it a go. No solid zinc sadly, just Zintec sheet which is mild steel electro-coated with zinc apparently. Not sure how thick the coating is but I would imagine it doesn’t bear too much reworking before you’re down to the steel. I bought some aluminium instead - never tried it before but Sarah gets good results with it - and it was much cheaper than equivalent sized plates from printmaking suppliers. Bonus. Was lucky enough to squeeze a couple of studio hours in this afternoon, between the chores, family stuff and general domestic flim-flam, so prepared a couple of small test plates for line work and aquatinting. I’m still getting a grip on how aquatinting works on zinc so this probably isn’t the best time to be experimenting with a new material, but there we are. And the aluminium does indeed feel and look very different to zinc when etched. It seems to take a lot longer to bite in the copper sulphate solution and the marks left around the particles of resin look very different too. Even the inking and wiping feels different and the weight and density of the plate in the hand. Odd how familiar one can get with (and attached to I suppose) the feel of a piece of metal. 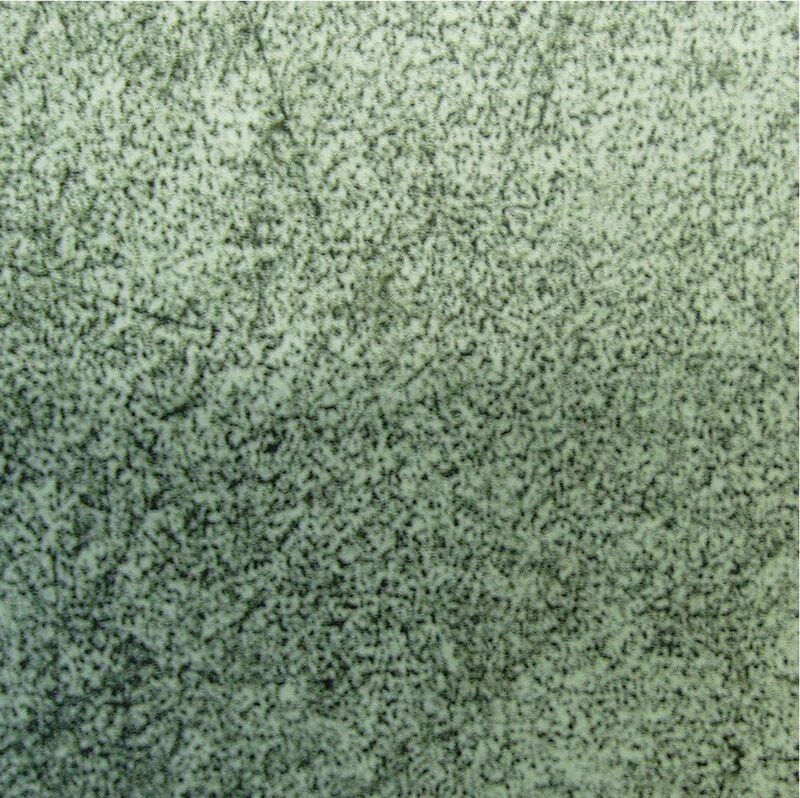 The photos show the difference between pine resin aquatint on aluminium (top) and zinc (bottom). 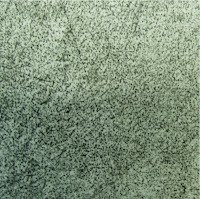 I’ve always wanted to have a go at mezzotinting; I love the soft, velvety quality which can be quite ethereal at times. I don’t fancy rocking my own plates though and my burnishing skills need improving so, for practice, I’ve aquatinted a plate and bitten it all over. 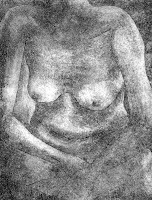 This gave me a grey surface to start with and allowed me to burnish the image up. A recent life drawing gave me a fairly simple form to start off with as I didn’t want to do anything too detailed (hence the headless torso!). It’s quite hard to see what you’re doing actually; I don’t know whether it’s easier on a mezzotint but it’s a bit trial and error on my aquatinted plate. I don’t think I left the plate in the etch long enough though – I’d like to try again and bite it darker next time so I can get a better range of tone. I shall continue to tinker with this plate, maybe bite it again. That’s the great thing about etching, you can keep reworking the plate. Etching rocks. Although last week was a bad one domestically (leaky pipes and plumbers – AGAIN), it was a good week for art. There was life drawing on Saturday - poses inspired by Degas’s intimate paintings of women going about their daily rituals; studio time on Sunday; an intaglio supervised practice session at the workshop on Tuesday which was fun – three people using four different techniques (as technician/facilitator, that kept me on my toes! ); on Wednesday I gave someone at work some advice about drawing and critiqued a portrait he was working on, and on Saturday, I received an email from Green Door Printmaking Studio in Derby announcing this year’s international print exchange. A delightfully varied week – rare these days. If only there could be more like those!